On May 15, 2016, an early morning fire robbed over 100 White Rock residents and businesses of their homes. Many of those impacted are seniors. 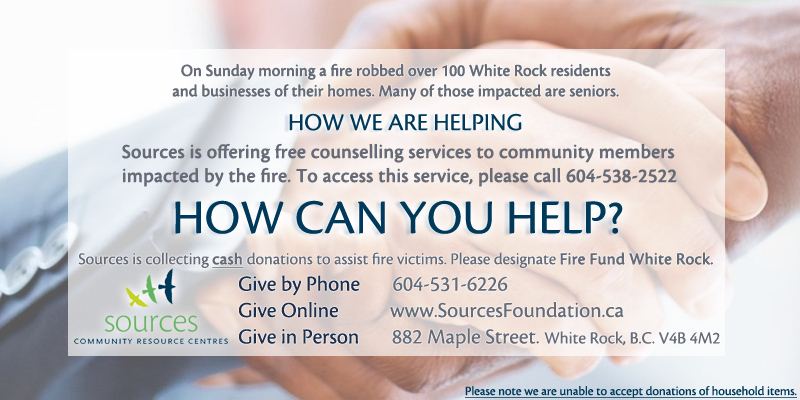 Sources is offering free counselling services to community members impacted by the fire. To access this service, please call 604-538-2522.